Can you believe January is already over? It seems like only yesterday we were celebrating the end of 2015. This new year has already been jam-packed for me; just a few days ago I welcomed my new nephew into the world - I'm officially an aunt. One thing I wanted to add to my blog this year was a monthly favourites. So many other bloggers do these kinds of posts, and they are one of my favourites to read; so why not write them too? I'm a creature of habit so you'll probably see a lot of repetitive products, but hopefully this will help me broaden my horizons a little bit. It was so difficult choosing just a few products this month. I really sat down and thought about it, and finally came up with seven products that have really been stand-out products to me. An older palette but certainly a good one. This one is no longer for sale on the companies website, but I'm sure if you did a little bit of a digging you would find it. I've been absolutely addicted to the bottom middle shade this month. Since it's been so warm, I've been using it to create a very light smokey eye look. I actually wrote a full review of this palette with swatches, which you can read here. This was technically a PR sample however I have since repurchased it a number of times. This baby was mentioned in my Ace Your Base with Rimmel London post and my Summer Must Haves post. Usually I'm a bit of an oily person so my makeup slides right off in summer, so this BB cream is the perfect alternative. It stays matte all day and gives great coverage. I have been on and off with this mascara for a little while, but I've used it non-stop this past month. I've found in the hot weather, this one won't smudge or irritate my eyes. It also holds a curl really nice, even when I'm sweating. My mum actually gave this to me for Christmas, and I had no idea MAC even made these kinds of lippies. I've been so impressed with these it's not even funny. This dries matte but has the second clear gloss that seals the colour in and gives you a smooth and comfortable feel on the lips. It lasts all day long, even through eating and drinking. I need more colours, and stat. What I first noticed when I received this fragrance is that it is gender neutral. It's not a women's or a men's fragrance; so anyone can use this. It has such a subtle woody scent that really is flatting for anyone and doesn't seem out of place on a man or a woman. It's absolutely perfect for a hot summer day when you don't want anything too offence to the senses. I have been loving this since I received it but this past month it has really been working for me. It has a very fresh fragrance and whilst it's pretty gritty, it keeps my skin feeling soft and not dried out at all. This baby was mentioned in my Olive Skincare Brand Focus. 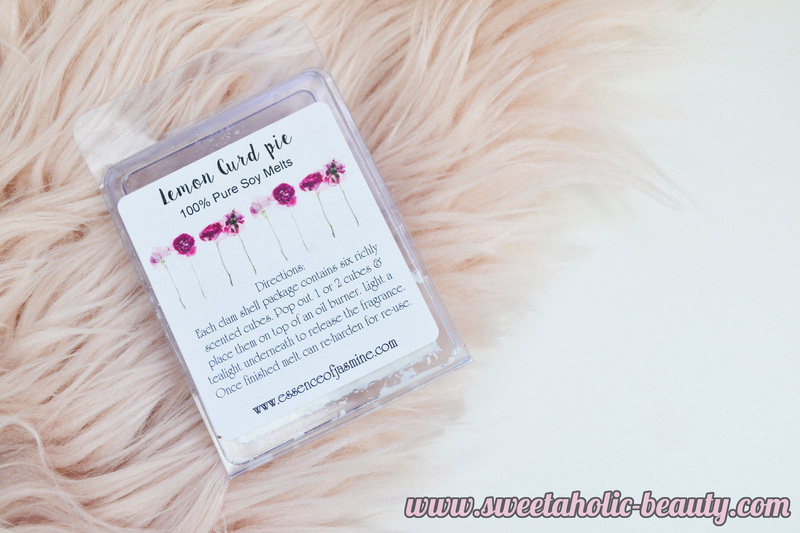 I did an Essence of Jasmine haul a little while ago and picked up the Lemon Curd Pie melts. I tried one and loved it, but was distracted by the giant candle I bought. I used that up recently however so my eyes were set on these melts. My goodness the smell makes me want to eat lemon pie all day (maybe not such a good thing) and is loved by everyone. I've only got one melt left! Have you tried any of the above products? If so, what are your thoughts? Are any of these products part of your favourites too? I really liked the Essence of Jasmine products I tried previously! I've also seen the CK scent pop up everywhere, and this is making me want to sniff it! I had a sniff of CK2 over the weekend & I can definitely see how it would be a unisex/gender neutral fragrance. Despite being a fan of Calvin Klein fragrances (I have about 3 of them, might be after 2 more), I wasn't overly fussed on it personally but it is a good one for summer. The olive scrub sounds great and I've definitely going to seek out the CK2 fragrance tester when I'm in town Thursday. It's going on my list now! Clingpeach looks like such a gorgeous product! I haven't seen these because I always think of the typical bullet lipsticks when I think of Mac lippies! I've been loving the CK2 Fragrance too! I need to repurchase (again!) 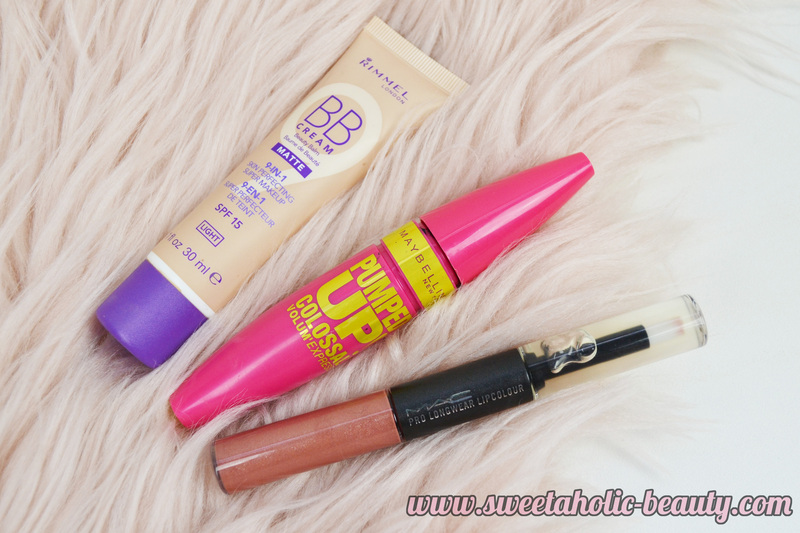 the Rimmel London Matte BB Cream. It's such a great BB Cream and I've been loving them lately. 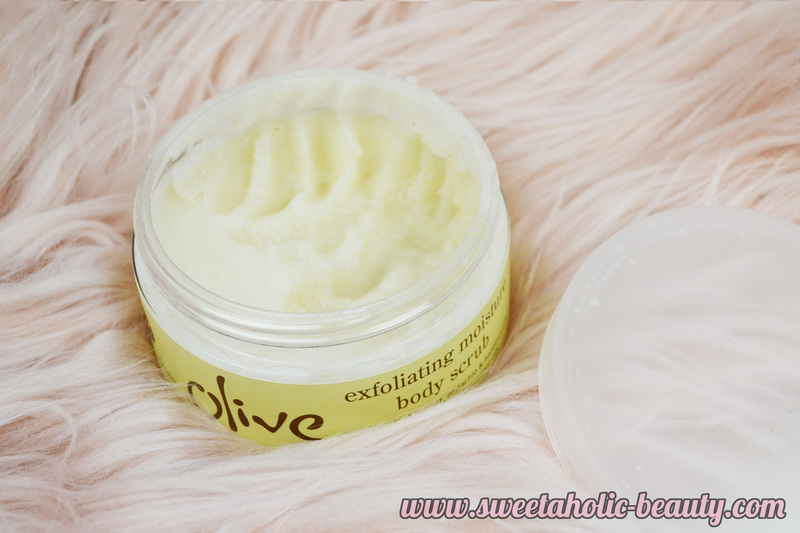 The Olive Body Scrub sounds like a great pampering skin treat! I will have to try some of their products. Wow I also didn't know that MAC made those Pro Longwear lip colours either! I've been obsessed with liquid lipsticks lately (they tend to last longer than your ordinary lipsticks) and the wand makes them so easy to apply. I might give the MAC ones a go next!